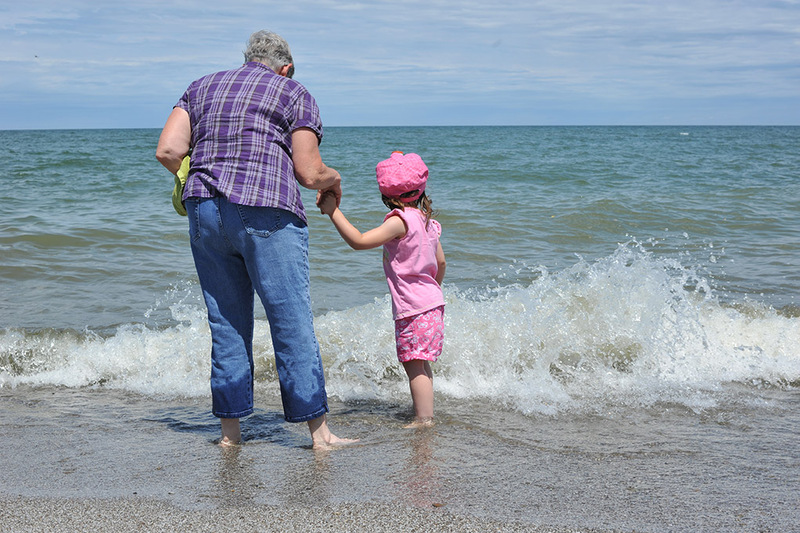 A grandmother and grandchild explore the power of Lake Erie on a summer day at Geneva State Park’s beach. The lake’s waves, during times of high lake levels, under cut the bluffs along the shoreline and eventually claim the land. 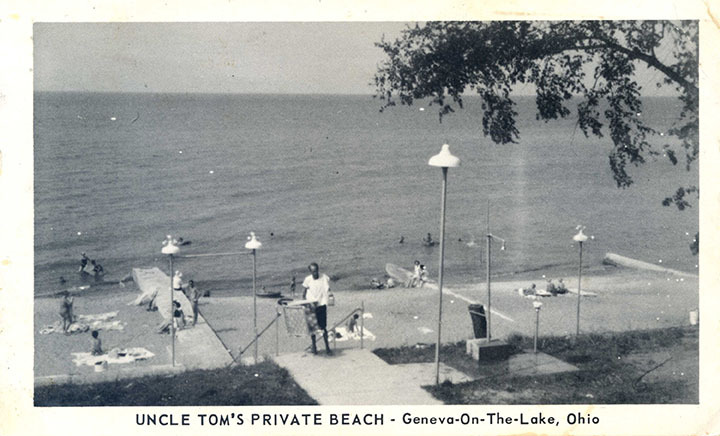 Geneva-on-the-Lake’s fame as a resort town was built partially on its beaches, which stretched from end to end of the resort. 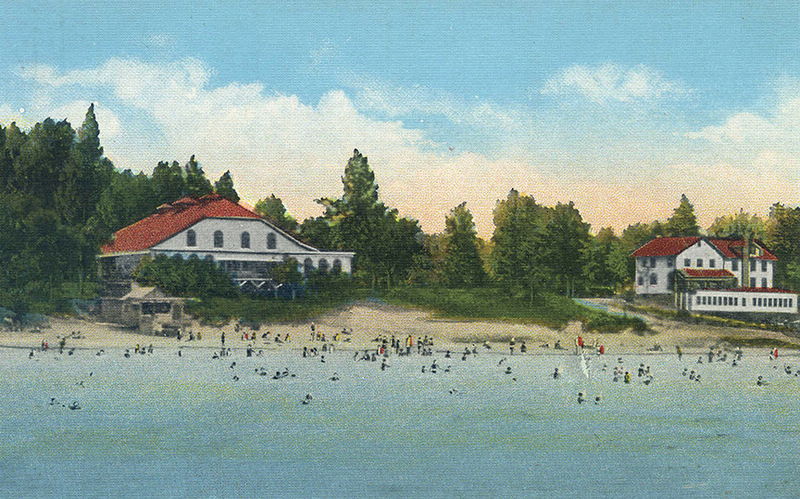 Virtually every business or cottage owner on the lakefront had a beach that offered both swimming and cool breezes for the guests. The beaches began to shrink in the 1960s, and they have never come back. Some blame the high lake levels that are set, in part, by the Army Corps of Engineers to satisfy the needs of the commercial freighter traffic on the lake. Others say construction of the St. Lawrence Seaway in the 1950s is to blame. And others feel there is a correlation between the loss of sand and State Park construction, which created a man-made marina and harbor, to the west. 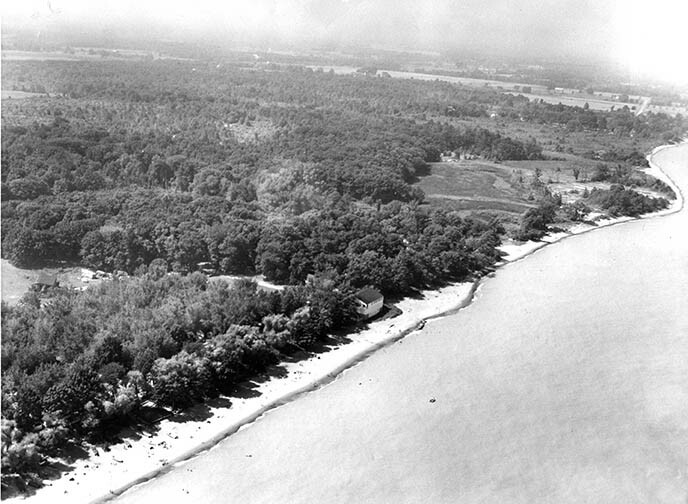 An aerial view of the lakeshore prior to construction of the Geneva State Park and Marina shows the width of the beaches, circa 1960s. Photo from the Ashtabula Star Beacon files. =Newspaper clippings from the early 1960s tell stories of severe beach erosion at properties along The Strip following major storms. The beaches never returned, although several property owners took heroic steps to protect what remained of their beaches. Public access to beaches at GOTL is very limited due to private ownership of north-side properties along The Strip. 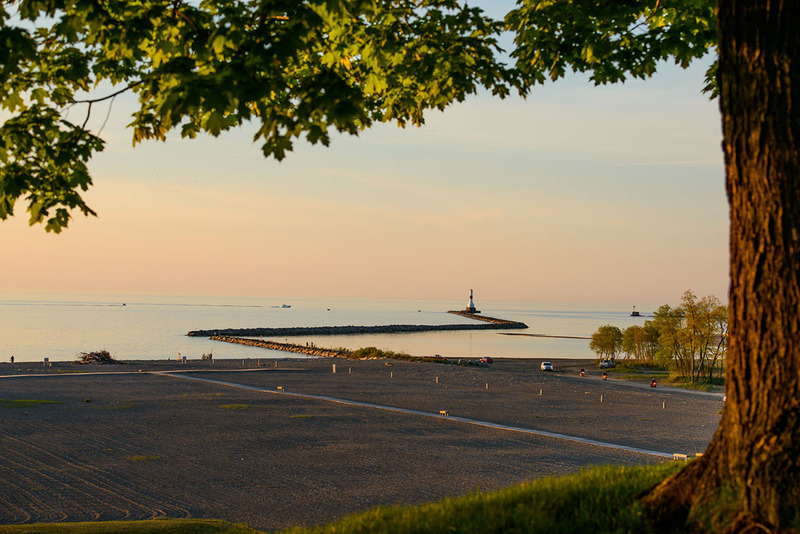 The best place to experience Lake Erie is at the State Park. Follow signs off Route 534 to reach the beach, on the west side of the park. 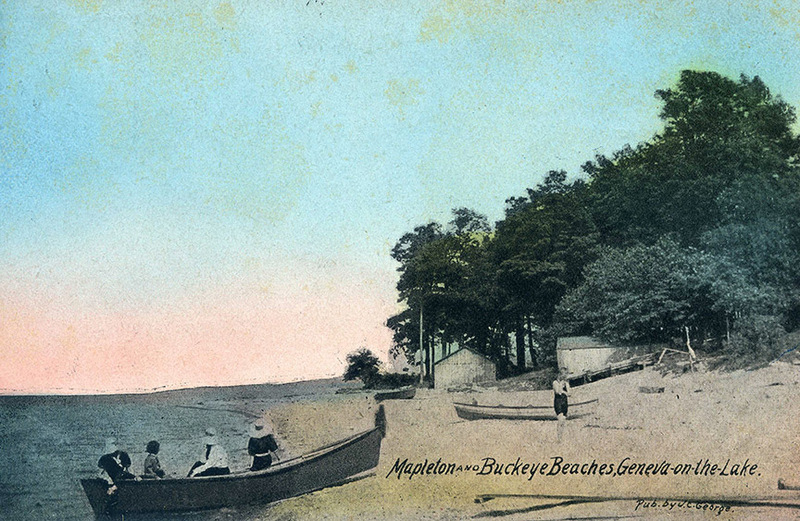 Nearby public beaches include Walnut Beach in Ashtabula, Lake Shore Park in Ashtabula Township and Conneaut Township Park in Conneaut. All three of these beaches provide public access and amenities such as restrooms and concessions. Beach at Conneaut Township Park, Route 531, approximately 35 minutes east of GOTL.